In brief, a PMTA (Premarket Tobacco Product Application) is a detailed product dossier compiled of scientific information that complies with FDA regulatory requirements, to allow a tobacco product, or product derived from tobacco substances, to be marketed in the US. This includes Electronic Nicotine Delivery Systems (ENDS). Manufacturers and importers of ENDS products into the US as of August 8, 2016 are required to file a PMTA by August 8, 2022, and receive a marketing order to continue to sell their products past August 8, 2022. However, on March 13, 2019 FDA announced publication of the draft guidance "Modifications to Compliance Policy for Certain Deemed Tobacco Products", as part of the agency’s commitment to limit youth access to, and appeal of, tobacco products. FDA is proposing to prioritize enforcement of the policy by focusing on flavored ENDS products (other than tobacco-flavored, mint-flavored, and/or menthol-flavored) that are offered for sale in ways that pose a greater risk for minors to access the products, and those that are targeted to minors or likely to promote use of ENDS by minors. Importantly, the draft guidance details FDA’s expectation that manufacturers of flavored ENDS products covered by the new policy submit their premarket applications by August 8, 2021. The overarching statutory requirement under the PMTA pathway is for the applicant to demonstrate with compelling scientific evidence that the introduction of the new product is "appropriate for the protection of public health with respect to the risks and benefits to the population as a whole, including users and nonusers, and taking into account, among other things, the likelihood that those who do not use tobacco products will start using them”. 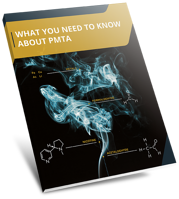 Successful delivery of a PMTA dossier requires scientific and regulatory expertise, backed by disciplined project management, to ensure the programme is aligned with your marketing strategy. Our strong business acumen, ENDS scientific and regulatory knowledge, and FDA compliant Contract Research Organisation (CRO) facilities enable us to offer US companies a one-stop source for the planning and execution of a PMTA roadmap. This can also be aligned with UK/EU Pre-Market Applications as required. Diagram 1 represents an overview of the various data submissions required for PMTA. Broughton Nicotine Services will provide a dedicated Program Manager, backed by experienced Workstream Leads, to manage the entire process of your PMTA project covering regulatory, scientific and analytical activities. FDA strongly encourages PMTA applicants to meet with the FDA to discuss product-specific testing and research plans. We provide scientific consultants to act as expert workstream leads, to accompany clients during FDA scientific advice meetings. 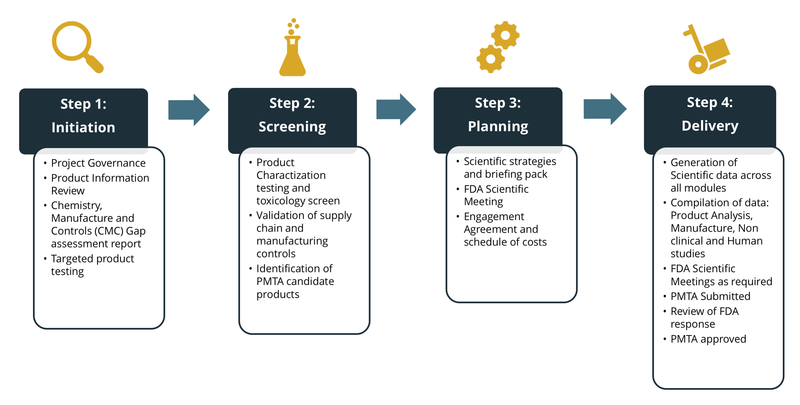 We follow a simple four-step process and engage regularly with FDA to deliver your PMTA. Our mission: to accelerate safer nicotine-delivery products to market; advancing a smoke-free future. 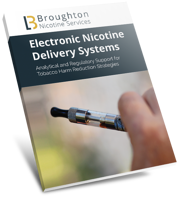 Download our brochure to read how Broughton Nicotine Services can help you comply with regulations requiring HPHC testing.